Only a few days before last New Year’s Eve, Kosovo citizens were shocked by a bank robbery in the small town of Istog. A man armed with a machine-gun entered into the local branch of Nova Ljubljanska Banka (NLB) bank and forced the cashier to give him the money. The tension increased when the police reached the crime scene, and gun-shots and screaming were heard. This dramatic moment was filmed by eyewitnesses and the images, resembling scenes from a Hollywood movie, were posted first on social media and then on mainstream ones. The robbery attempt led to the death of two persons: Izet Demaj, 42, a former KLA solder and the first police officer to reach the crime scene was shot dead by the thief. In the following exchange of fire, the robber too was killed by the police. Demaj was declared a national hero by the president of Kosovo, Hashim Thaçi. After his death, prime minister Ramush Haradinaj announced that Demaj's sacrifice is a turning point for Kosovo Police, adding that new, advanced laws for the police will soon be approved in Prishtina's parliament. Demaj's case needs to be carefully analysed by the prosecutors, while legal experts suggest that, in the future, the police should get more training to deal with violent crimes. At the same time, police officers should possess better equipment to ease their intervention in similar cases and neutralise the risks connected. Robberies in Kosovo have recently become one of the most common criminal offences, and this trend grasped media and public attention. 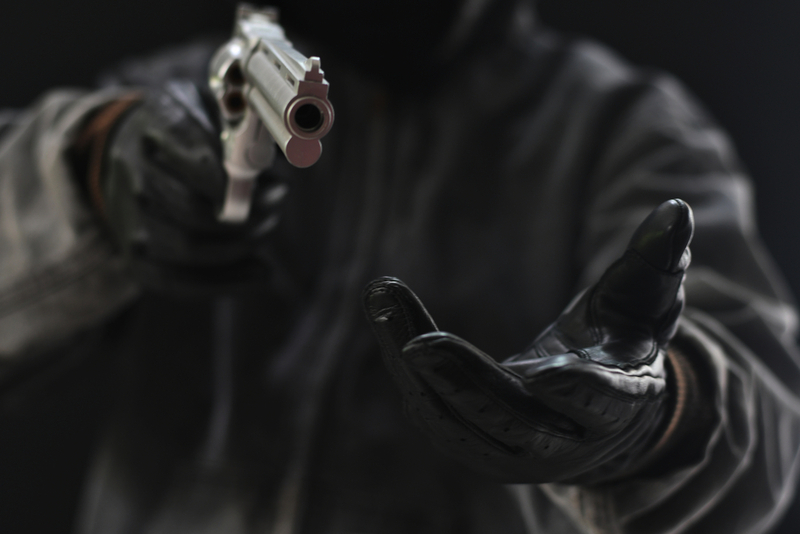 In 2017, the police reported 290 robberies; in the period from January to November 2018, according to Kosovo Police data, the numbers of such crimes at the national level soared to 263. According to lawyer Kujtim Kerveshi, with the significant rise of registered cases comes a clear need for more legal certainty to tackle the issue, together with better education, a more effective fight to poverty, and stricter control on illegal weapons. “As one of the most violent crimes, robbery includes the use of force. An increasing number of cases in Kosovo included the use of fire guns by the robbers”, says Kerveshi. The lawyer adds that there is a need for increased investigation capacities, more police patrols, and equipment such as high-resolution cameras in public spaces. “Such equipment would ease the investigation work and strengthen certainty in judicial proceedings”, Kerveshi says. Answering a question by OBCT, the media office of the Kosovo Police stated that the law enforcement agency has launched operative plans to prevent new crimes and arrest criminal offenders. According to the police, Prishtina is the main target of thefts and robberies. “Only in the Prishtina region, in a ten-month period, 13 criminal groups were caught by the police and 32 suspects for armed robbery were arrested. Other six remain fugitive”, says a statement by the Kosovo Police media officer. In most cases, the targets of such crimes are either banks or retailers. In 2018, the number of bank robberies in Kosovo doubled: according to the Central Bank of Kosovo, last year the number of bank robberies was 15, compared to 8 in 2017 and 6 in 2016. At the beginning of December 2018 Fehmi Mehmeti, the governor of the Central Bank of Kosovo, held a meeting with security authorities. They all agreed that concrete measures should be taken to increase security levels and improve inter-agency cooperation. One of the proposed measures is the promotion of electronic payments instead of cash transactions. “In such circumstances, the interest of robbers towards banking institutions and retailers would decrease, as there would be less cash at the disposal”, suggests Kujtim Kerveshi. Despite the increase in robberies, according to Central Bank of Kosovo spokesperson Kushtrim Ahmeti, the banking sector in the country remains stable – a trend proven by the current boost in liquidity and loans as well as deposits. “Such cases do not affect or reflect in interest rates, as the trends show a constant decline of interest rates in loans, while interest rates in deposits have increased”, Ahmeti adds. Both the public and professionals are concerned by the fact that robbers have become more violent and this has a direct impact on the future of Kosovo, as it threatens local and international investors' property and personal security, says lawyer Kujtim Kerveshi, while the officials from the Central Bank of Kosovo agree with such conclusions. According to Ahmeti, the recurrence of lootings can discourage potential investors in banking or other economic sectors. Foreign Direct Investments (FDI) suffered a significant decline during 2018 according to Central Bank of Kosovo. In the first quarter of the year, a 34% decrease in FDI was registered. “The economy in Kosovo is in trouble, the country is infected with perpetual and endemic corruption, while most of the youth wishes to leave and sees no hope and future in Kosovo”, says Kerveshi. A recent World Bank report, while forecasting a 4.5% GDP growth for Kosovo for 2019 – the highest in the region, predicts an increase in poverty and unemployment. The lack of visible progress, combined with the post-traumatic syndrome and the high number of illegal weapons, is a dangerous combination. “A robbery is a fast solution to obtain wealth, social security and so on”, says lawyer Kujtim Kerveshi, adding that unemployment is a critical factor. “Unemployment and poverty are threatening Kosovo citizens’ very chances for survival”, he concludes. The number of Kosovo citizens without access to basic goods, services, and commodities is increasing. Many have left, or tried to leave Kosovo but were returned by force, especially from Western Europe. In this difficult environment, apparently, for a number of people the temptation to look for a “fast solution” to their problems through violent crimes, such as robberies, is on the rise. To fight this worrying trend, experts say that Kosovo should improve its overall rule of law standards, improve its economic situation and its overall investment in education, which in the long term remains the most effective tool against criminal behaviour.